German chancellor Angela Merkel has called Monday's crash at a busy Berlin Christmas market a "terrorist attack", but she faces criticism from political rivals who are blaming her welcoming refugee policy for the incident. In her first comments after the attack, in which 12 people died and dozens were wounded, Merkel said she was "shocked, shaken and deeply saddened". But she warned that Germany should not be paralysed by fear. "I know that it would be particularly hard for us all to bear if it were confirmed that a person committed this act who asked for protection and asylum in Germany," Merkel said in a TV address on Tuesday (20 December). "This would be particularly sickening for the many, many Germans who work to help refugees every day and for the many people who really need our help and are making an effort to integrate in our country." 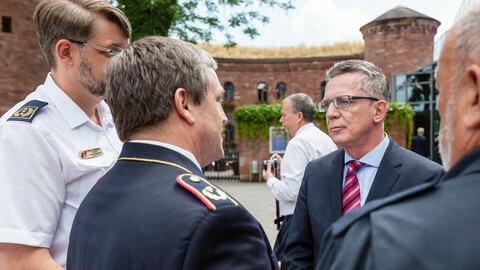 In a press conference shortly after, interior minister Thomas de Maiziere said the authorities were questioning a suspect who denied any involvement in the attack. De Maiziere said the suspect was an asylum seeker from Pakistan who came to Germany in December 2015, and arrived in Berlin in February. He said no group had taken responsibility for the incident. Berlin police chief Klaus Kandt said his officers had not yet been able to confirm whether the suspect was the driver of the lorry. 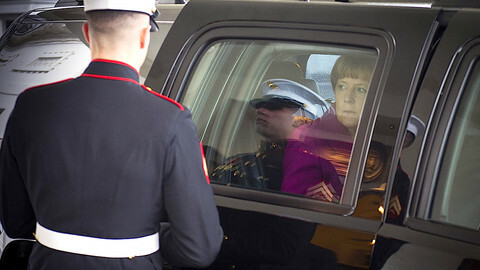 Merkel warned that a lot of details about the attack were still not known. 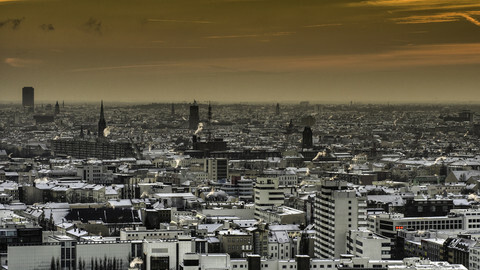 "Even if it's difficult at this hour, we will find the strength to live life the way we want to live it in Germany. Free, together and openly," she said. 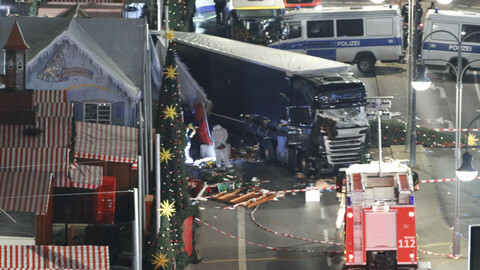 As well as the 12 people killed, 48 others were hurt when the lorry crashed into the popular Christmas market outside near Berlin's Zoo station late on Monday. A Polish man was found dead in the lorry. Unconfirmed reports suggest he was the original driver of the lorry, which had a Polish license plate, though he is not thought to have been driving at the time of the incident. The police earlier said the lorry had been stolen from a building site. The incident comes months after a truck ploughed into a crowd in the French city of Nice in an attack claimed by the Islamic State militant group. Critics of Merkel's welcoming refugee policy and far-right parties wasted no time in blaming the chancellor for what happened. "Under the cloak of helping people Merkel has completely surrendered our domestic security," said Frauke Petry, the co-chairwoman of the anti-immigrant Alternative for Germany (AfD) party. Seehofer, a long-standing critic of Merkel's refugee policy, had already threatened last week to run as the opposition if Merkel did not agree to cap the number of migrants. 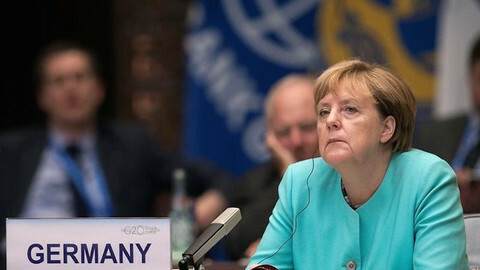 Merkel, who announced recently she would run for a fourth term in office next September, is under growing pressure to change her welcoming attitude toward asylum seekers, almost a million of whom arrived to Germany last year mainly from Syria, Iraq and Afghanistan. 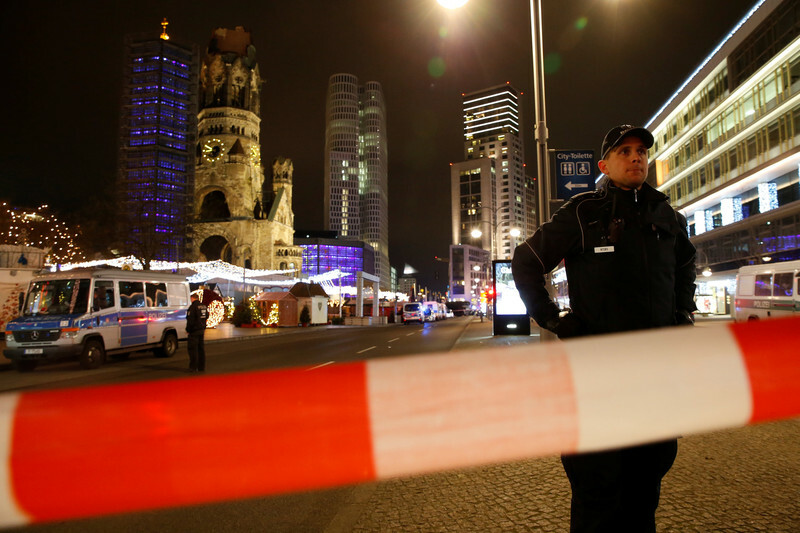 The attack has emboldened her political opponents in Germany and abroad. French far-right leader Marine Le Pen expressed her solidarity with families of victims in Berlin, but she asked: "How many massacres and dead people will it take before our governments stop allowing so many migrants into our borderless countries?" Dutch Freedom Party leader Geert Wilders has also called for a “political revolution” and posted on Twitter a photo-montage of Merkel with blood on her hands. Former UK Independence Party leader Nigel Farage tweeted that such events would be "the Merkel legacy”. His message on Twitter prompted a reply from the widower if Jo Cox, a British MP killed in June by a man shouting "Britain first." "Blaming politicians for the actions of extremists? That's a slippery slope, Nigel," wrote Brendan Cox. 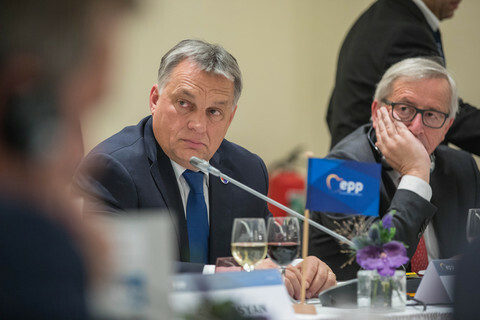 Slovak prime minister Robert Fico, whose country holds the rotating presidency of the EU, also blamed Merkel's policy. 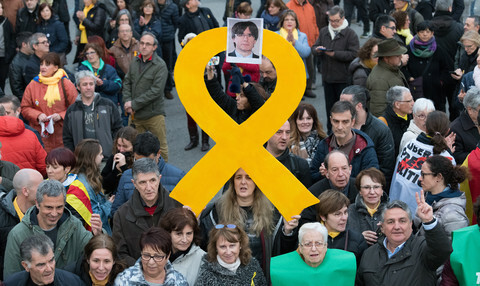 "The facts are simple: a migrant who arrived in Germany and got refugee status is now interrogated as a suspect responsible for this heinous, repugnant crime," Fico told a televised news conference, according to Reuters. 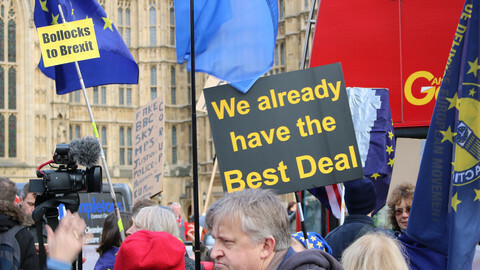 "I think that the cup of patience is beginning to spill over and Europe's public will rightfully expect rather stronger [anti-immigration] measures." Germany has so far experienced only smaller attacks by Islamic extremists, but two attacks by asylum-seekers in the summer that were claimed by the Islamic State group. Five people were wounded in an rampage with an axe on a train near Wuerzburg and 15 people were wounded in a bombing outside a bar in Ansbach, both in the southern state of Bavaria, the home of Seehofer's CSU party. The police have questioned a man suspected of driving the truck, but have not confirmed his nationality. Germany is seeking to step up security with new proposals that include probing social media accounts of refugees and stripping foreign fighters of German citizenship. German leader Angela Merkel’s party has suffered a further setback in local elections, while the anti-EU AfD party continued to make gains. The EU must take better care of its own security in the Trump era and must establish control of immigration, German chancellor Angela Merkel has said.